The Pomodoro experiment continues. It feels like my fingers are getting faster so I have decided to keep track of this. 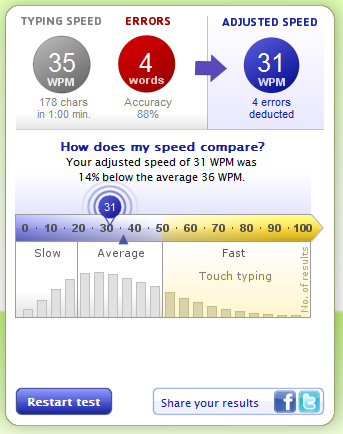 Wish I had taken a typing test a week ago.